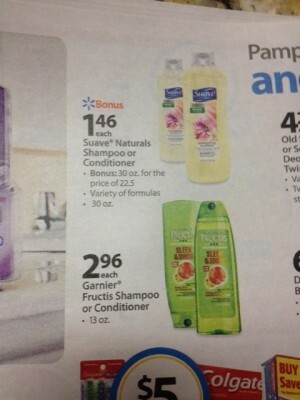 BIG Bottle of Suave Shampoo/Conditioner only $0.94! Walmart has the big 30oz bottles of Suave Everlasting Sunshine shampoo and conditioner for the same price as the smaller 22oz bottles. Use this coupon to get a great deal on them!